This August we’re giving you the chance to win RakeTheRake merch bundles when you refer your friends. Any player that you refer in August is automatically tracked to you; then the referred player who rakes more than anyone else throughout September will win a full RakeTheRake merch bundle for both players! This offer means that both you and your top referred raker can be at the cutting edge of fashion this coming Autumn. So check out our affiliates and referrals page – referring your friends is as easy as typing their email addresses into our custom form. You can refer your friends at any time in August, and they’ll have the whole of September to rake a winning amount. The two lucky recipients of the RakeTheRake merch bundles will be announced at the end of October. At RakeTheRake we offer our poker players the chance to earn even more money on top of the best rakeback deals with our fantastic affiliates and referrals schemes. 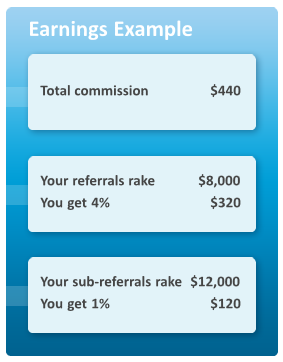 When you refer your poker friends to RakeTheRake, you earn commission on all the real money poker they ever play! Plus, you earn commission from any of the players that they then refer! So you earn money for doing nothing but referring, and you get cash from all the poker your referrals and sub-referrals play, for as long as they play. Home » Rakeback News » Refer friends to RakeTheRake in August and win!